Google launched ‘Google Checkout’ in the UK on Friday the 13th April 2007. Google checkout is about security, convenience and speed. Diamondgeezer.com is pleased to be the first online jeweller in Europe tooffer Google checkout to customers. 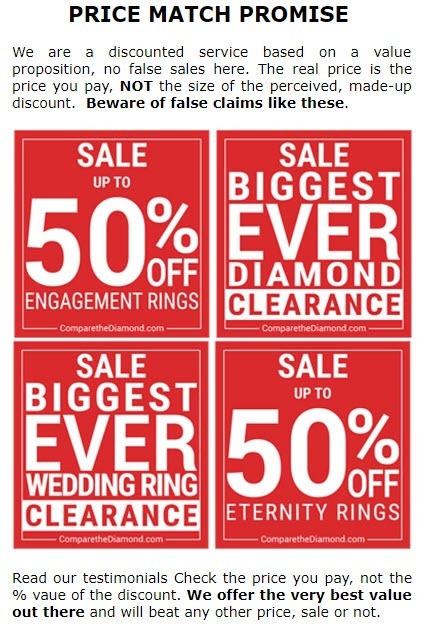 With Google Checkout, you can quickly, easily and securely buy from ComparetheDiamond.com (formerly diamondgeezer.com) and many other stores across the web. If you’ve used Google Checkout before, all you need to do is provide your Checkout username and password to buy from us. If you’re using Google Checkout for the first time, you only have to fill out a single page of information once to make your first purchase. After that, you just need to enter your Google Checkout login to make a purchase anywhere on the web that has Google checkout. There’s no need to re-enter your purchase information or create multiple usernames and passwords each time you buy anywhere on the web that has Google checkout. When you buy with Google Checkout, you can track all your orders, wherever you bought goods, in one place and shop with confidence knowing that Google protects you from unauthorized purchases. Google checkout is accessed via the shopping cart at time of checkout.